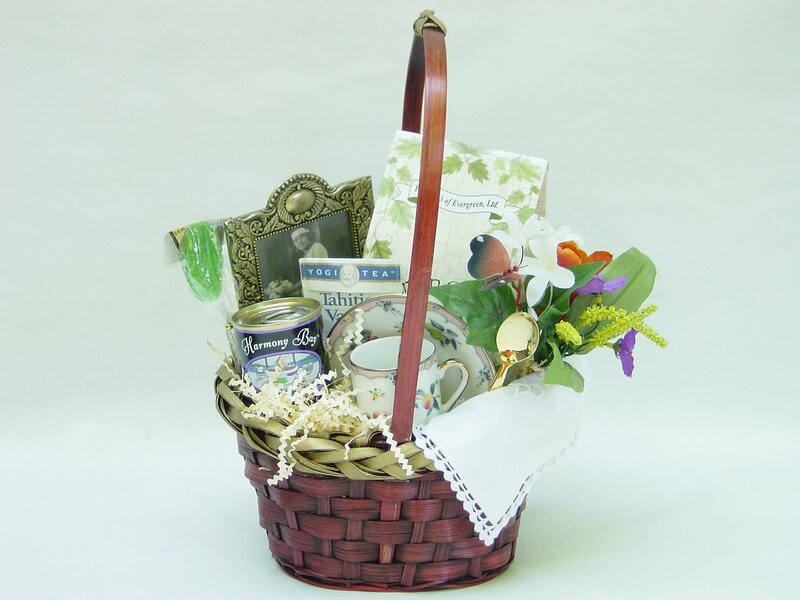 Gift baskets created for joyous times are popular worldwide. Another article explaining how to make designs gets you started. However, gift baskets made in tribute of those who are no longer with us also need your masterful touch to celebrate a well-lived life. 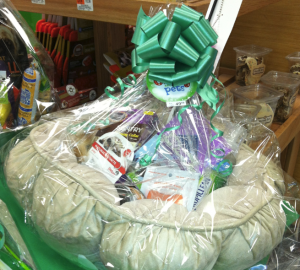 You can design bereavement baskets in any way you choose. In fact, you can specialize in making them because just as there are new lives born every day, death also arrives at the same pace. 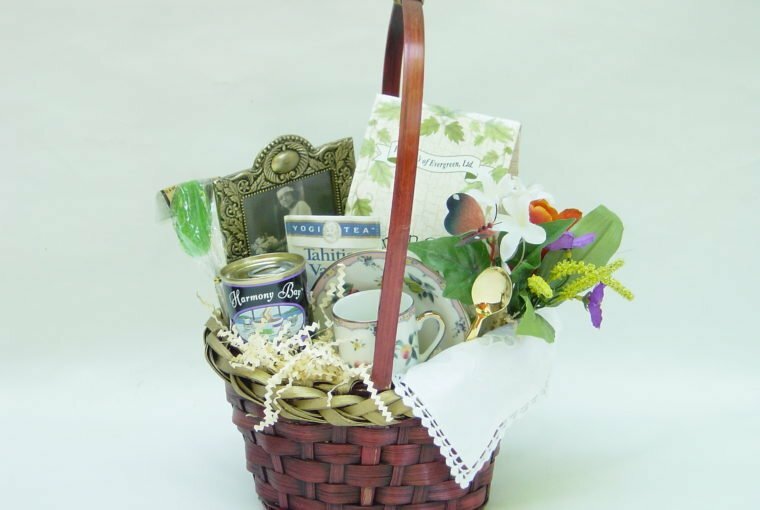 That means you will have customers requesting gift baskets to mark each occasion. 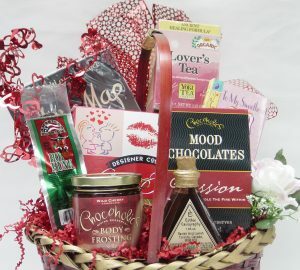 In addition, if you make gift baskets as a hobby, you can also create a signature style for each event. 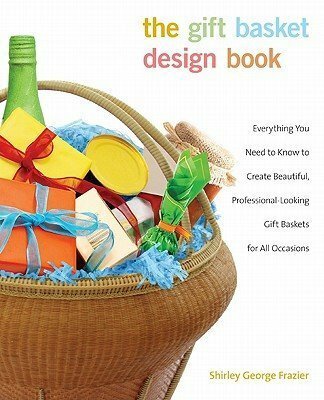 The bereavement gift basket design you see above appeared on the cover of The Gift Basket Design Book, first edition (now in its second edition). White shred and faux flowers finish this special gift designed in a medium-sized, red oval basket sprayed at the top edge with a brushed gold color. Your bereavement designs can include these items, and there are other products for your selection. Most of all, the goods you choose depend on what the loved one prefers. The selection may also depend on what a funeral parlor or house of worship requests you to make for family members. Companies listed in the customized Wholesale Suppliers in Your State report includes other products to consider. It’s always fun to make gift baskets for birthdays and holidays, but it’s truly an honor when you’re asked to design a gift basket to memorialize a person’s life. 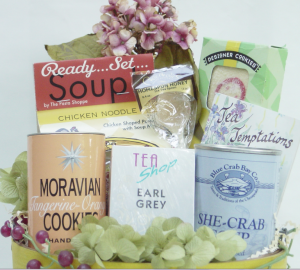 What have you chosen as the perfect combination for a bereavement gift basket? If you haven’t yet made such a gift, what items would you include?